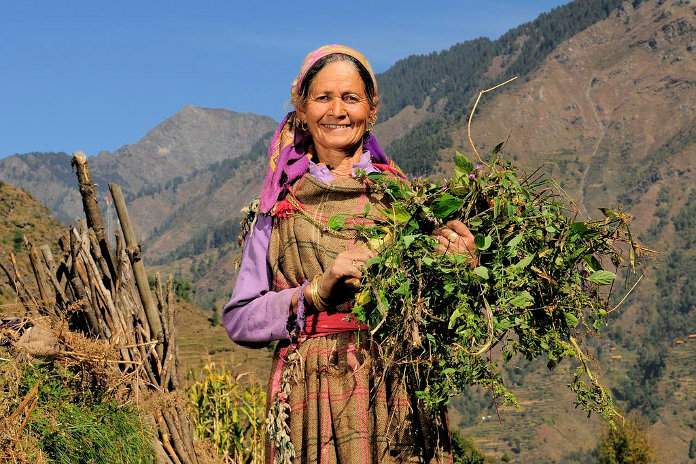 Home People & Society What does it take to be a Himachali mountain woman? 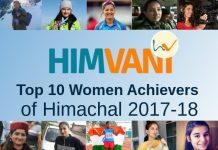 What does it take to be a Himachali mountain woman? Women are synonymous with strength, care, devolution and round the clock support. Believe it or not, we women are serious multi-taskers and even researchers prove it. It’s our thing to be best at managing hordes of things. That said, women everywhere face challenges whether in sensitive issues like gender equality, empowerment, opportunities, biased pay scales or harassment. Yes, as women we face unique set of challenges which are sometimes even greater than men. 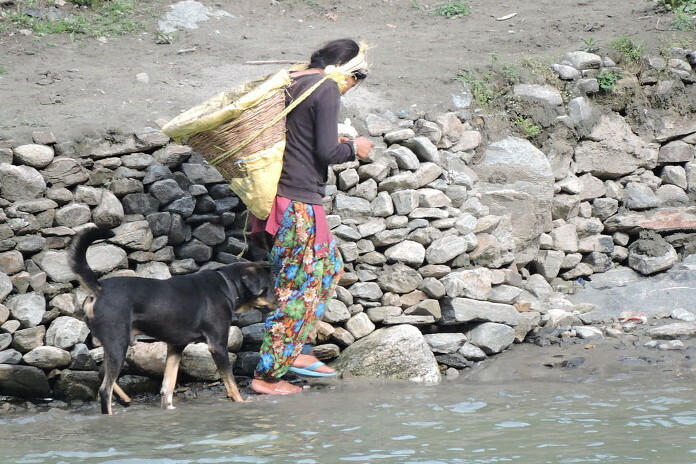 Women in mountains, especially the rural women, are a stronger lot because they grow up fighting challenges that are unique to mountainous terrain. Let’s find out things that have contributed to the evolution of rural women in the mountain as strong, burly and strong-willed. Ever imagined carrying a backload of cattle fodder? It is a daily chore for women in the rural mountainous region to bring fodder for cattle, reared for fresh milk. Without ever giving a break to this chore, women folk walk 1-2.5 km, sometimes 3-4 km up the grasslands, steep gorges and sunbathed pastures to bring fodder for the cattle. It’s no easy feat, my friends, because the climb can sometimes be very steep upwards. Or through narrow pathways that overlook horrifying ravines. Even during drenching rains or cold winter morning, there’s seldom respite. The women first cut the fodder in batches, tie them in a small bundle which is the hurled into a bigger load that is either carried on head or back. 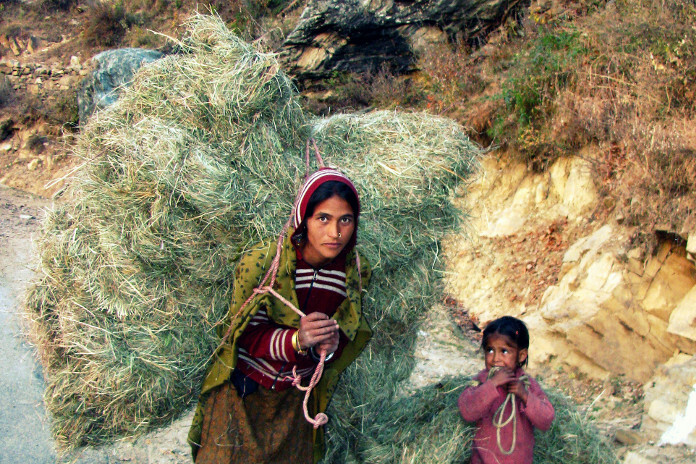 Women in lower areas of Himachal prefer to carry the fodder load on heads while women in higher areas carry it on backs. The load can be more than 50-65 kgs. Just imagine the strength needed to carry such a load. The morning of a woman in villages starts quite early. They need to cook for the entire family before they can go and fetch fodder. In the modern age, the women here too have growing aspirations and ensure that their children get a good education with all the facilities. So they make an extra effort to get their children ready, pack nutritious lunch and help them in any way they can. After bringing a backload of fodder there’s little respite for them. It is for lunch preparation, after which they also need to look after the fields that have seasonal crop growing. Once they get free, it time for evening and the dinner needs to be prepared and even children reach home by this time. The pattern of these daily chores seldom changes. 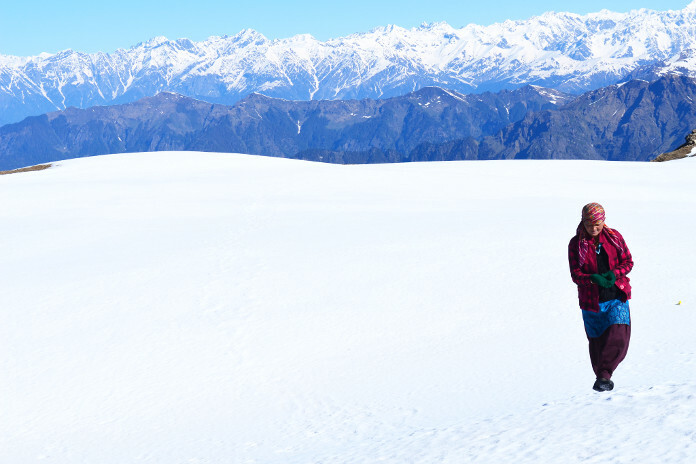 The Himalayas are blessed with mineral-rich water resources that are still safe from human interference in higher reaches. These water bodies are a source to drinking needs of people in the village. People have great faith in the portability, taste, and value of such water and hence prefer bringing water for drinking purposes. 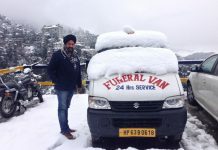 It is a common sight if you ever get a chance to visit a village in Himachal. Women carry metallic pots on their head, men use a shoulder pole, while children carry small buckets and gallons. Sometimes in the tough areas, these natural sources of water are the lifeline of people. They depend on it for all their needs, even if they have to walk far of places over rough mountain terrain. These are just a reflection of how women in the mountain are shaped by the challenges unique to this area. There might be many more challenging feats a rustic woman in mountains does on daily basis that goes unnoticed.